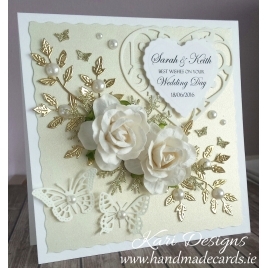 Handmade Wedding Card in white, ivory, cream & gold colours. 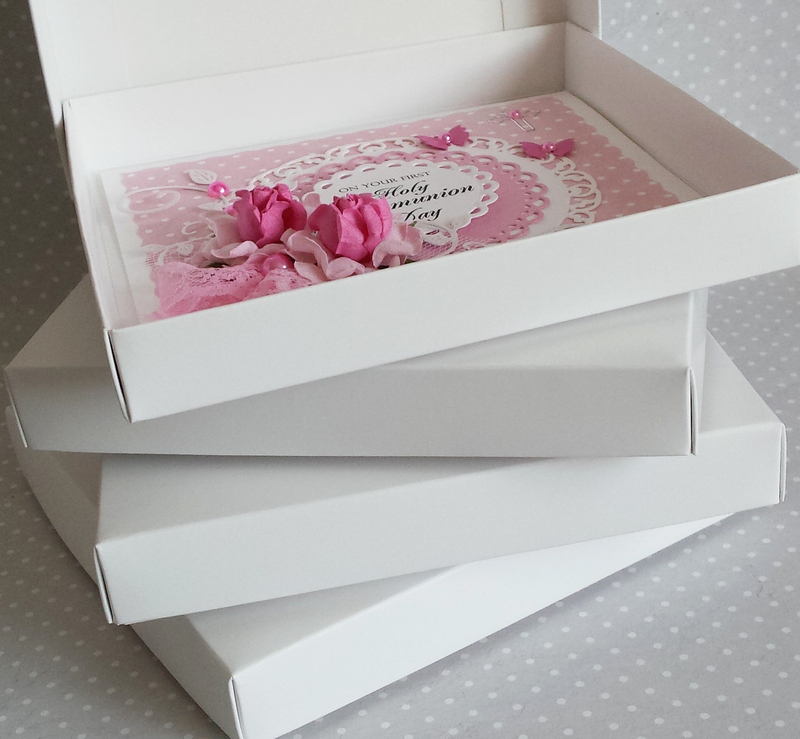 FREE Gift Box with every card !! please add full details in ADDITIONAL INFORMATION Fields above. 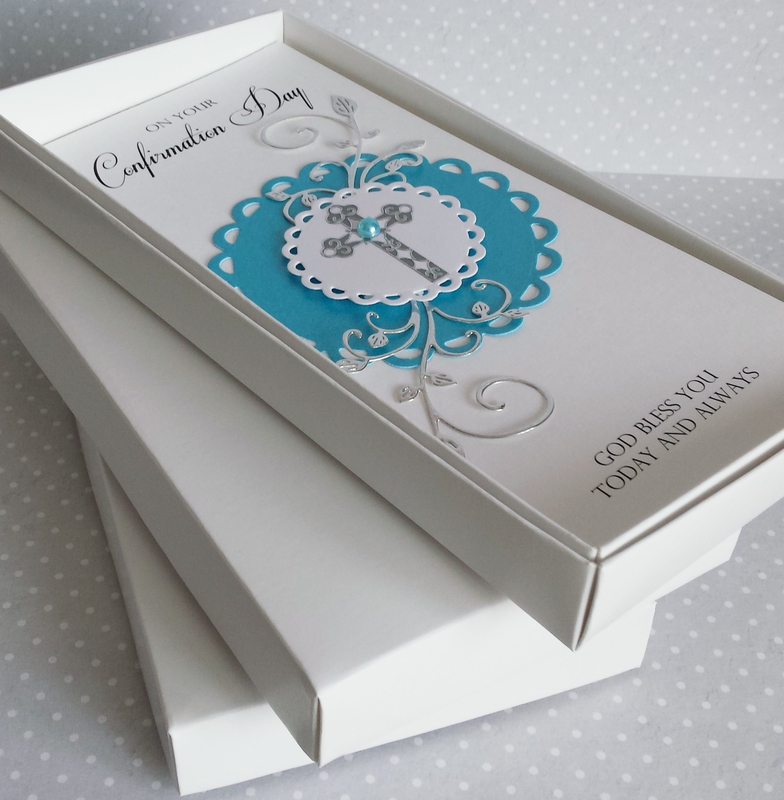 Kari Designs accept no responsibility for typographical errors, spelling mistakes, or incorrect information on any project committed to print or production. 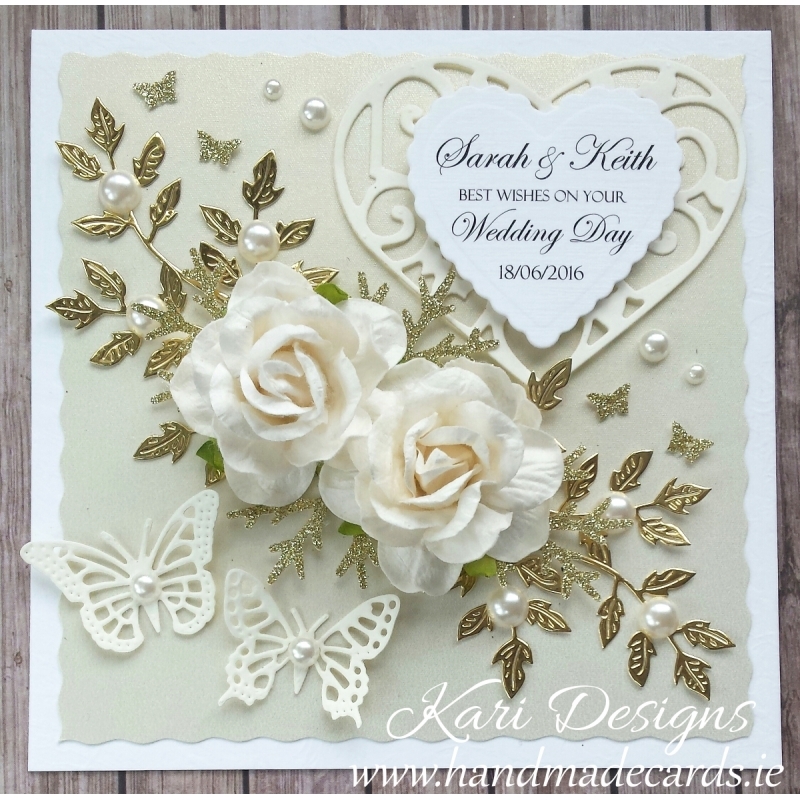 Due to handmade nature of Kari Designs products, once your payment will be confirmed this may take between 1-7 business days to complete your order. For busy times like Confirmations, Communions, Christmas, Mother's Day, Valentine's Day etc. it may take up to 10 business days.